This is Step 4 in the ISNHCP practitioner training program. Dates: will be added soon. 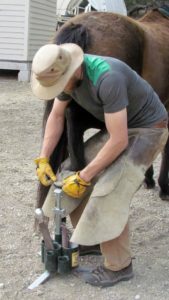 Description: This clinic will teach the student how to properly perform the Natural Trim on live horses. The length of the clinic will be 1 day with an option for a 2nd day if desired or needed. *2 days are highly recommended. Minimum and maximum of 2 students.